Shailene Woodley and Oscar Buzz. Okay? Shailene Woodley and Oscar buzz. A combinations of words that I did not see coming this Oscar season. 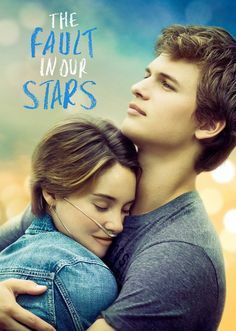 Yes, Woodley’s performance in The Fault in Our Stars, was one of a kind and memorable, but worthy of an Oscar? This perplexing information first came to me when I was reading the The Hollywood Reporter. With the film festival buzz constantly changing the Oscar race, I was checking the updates on the Feinberg Forecast. The Feinberg Forecast is a project that has been running since 2001, by Scott Feinberg, a reporter for THR. Each year he projects the Oscar winners, and has a pretty good track record of doing so. After a few weeks of premiers that included Inherent Vice and Gone Girl, I was curious to see who would be in the lead for a nomination. I was expecting was to see Rosamund Pikes name under front runner after her performance, which Pike deserves for her performance in Gone Girl. (If you have not see Gone Girl, GO NOW!) Pikes name was under the list of front runners in her category, just as expected. It was what I saw under her name that really got me thinking. It listed Woodley as a frontrunner for her performance in The Fault in Our Stars. Check it out here. Now, lets take a step back and think out these odds. Woodley has had experience with the whole Oscar run for her role in The Descendants. In 2011, she stared besides George Clooney in the American comedy-drama, playing Clooney’s troubled daughter. The film, directed by Alexander Payne, went on to receive a total combined ten nominations between the Oscars and the Golden Globes. One of the Golden Globes nominations went to Woodley, for her supporting role in The Descendants. Unfortunately she did not win, but it put a major spark for her career, putting her name on the map. Woodley in The Descendants, 2011. For the next two years, Woodley flew under the radar. Her name started to appear again in 2013, with her indie film, The Spectacular Now. Now this is a film I could get on board with Woodley having a nomination for. She played a raw, uncut teenager, worthy of some recognition. The film was a popular hit during Sundance, but when Oscar season came around, it simply did pick up like they had hoped. Fast forward a few more months to March and Woodley is getting compared for a “Jennifer Lawrence career” for her role in Divergent. (Similar YA dystopian novel, Woodley saves the world, very Katniss like.) Fast forward a few more months to June and Fault, is being released. Huge press tour, millions of screaming fans, and Woodley is EVERYWHERE. The movie is a huge hit. Teenage girls everywhere saw the film multiple times and it became the summer blockbuster. Overall the film grossed $226 million world wide and took the opening spot during the opening weekend. The film was a huge success and teenage girls everywhere cried for days. And maybe thats why I am unsure with seeing Woodley’s name and Oscar buzz in the same sentence. The plot line of the movie and the typical audience that it generated simply do not fit into the Oscar picture. Of course, that does not mean that Woodley is not deserving of this buzz, the whole thing is just confusing. Yes, she does a great job of channeling the emotion of a dying cancer patient in the film, but for my understanding it simply does not compare to the other films and actresses she may be up against this season. Woodley is able to carry the movie on her shoulders, creating a great chemistry with the rest of the cast. The film as a whole would not stand without her. The director, Josh Boone, did a great job channeling the energy in Woodley’s character to bring the messages from John Greene’s YA book to life. The film shows a great message about living one’s life to the fullest, but seems to sappy for the Academy members to latch on to. If Woodley receives a nomination, I would be happily surprised. While I think that she is deserving of the nomination, I believe there may be other performances by her colleagues that simply outweigh hers and what she did in Fault. Only time will tell if she will receive the nomination or not. If she does, she will have the largest followers of teenagers rooting for her. Either way the film was a strong move in her career.